Mountain Hardwear Via Rapida 35 Backpack. 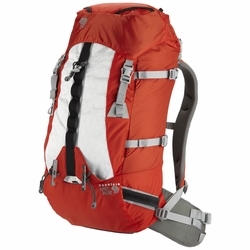 Compact, light and versatile, this climbing pack delivers on function, comfort and stability. Weight - Medium 3lb. 5oz. / 1.50kg., Large 3lb. 8oz. / 1.59kg.